It is very hard for many refugees to realize their dreams. Their lives are uncertain, to a degree that makes it hard to plan for the future. Most refugees do not know if they will find permanent homes in Jordan, another country, or back in their homelands. The vast majority of refugees will never be resettled in the West, and meanwhile most Iraqi, Syrian, and Sudanese refugees, like those who receive services at CRP, cannot return home due to safety concerns. But most of them also cannot legally work in Jordan. In fleeing their homes, they have left behind jobs, interrupted their educations, and separated from their loved ones. And yet, they still have hopes and dreams for a better future, if not for them, then for their children. Laylah dreams of helping other women, including her two young daughters. When Laylah agreed to marry her husband, her in-laws promised she would be able to continue her education; she was only one class away from finishing high school, and planned to go to college. After her marriage, her new family members changed their minds about allowing her to continue her education. She and her husband have since had two daughters, both of whom are under the age of three. Separated from her family, responsible for the care of two small children, and unable to pursue her own goals, Laylah began to feel hopeless about the future. She became friends with another woman, who had saved up to pay for school despite a physically abusive family, and sharing her experiences with this woman encouraged her to persevere. Recently, Laylah, her husband, and their children have returned to Jordan, and Laylah is happy to be reunited with her mother, sister, and nieces. Having family that supports her and her daughters is important to her. She is once again dreaming of the future. “My first dream, since I was a little kid, is to be a photographer,” she says. She also wants to become fluent in five more languages: English, French, German, Italian, and Spanish. She plans to finish high school and go to university. “Here, it’s very expensive, but I will work until I get it,” she says. Laylah has big dreams and big plans. But most of us have big dreams, just without the enormous obstacles being a refugee imposes. Laylah is not alone in dreaming big; the other individuals who come to CRP every day all hope for a better future. 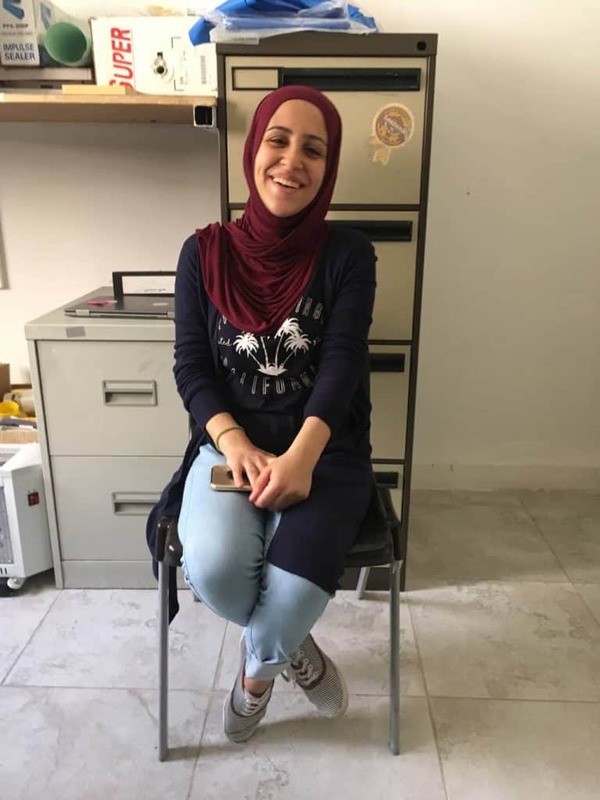 By coming to activities at CRP, refugees like Laylah are taking steps to prepare for that future, by learning English, participating in exercise classes to stay healthy, and building a community and support system.